Visa Company Information Is this your company? Add your own content to this page. We currently have 1 open jobs at Visa. 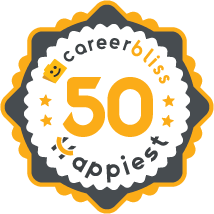 We've calculated that the average salary at Visa is $85K based on 656 user-submitted salaries A total of 78 Visa employees gave Visa an average happiness rating of 4.1 out of 5.0. 28 Customer Service Representatives from Visa submitted salaries. 4.4 I am proud of working in Visa as a QA engineer. The company has a very friendly environment with lots of opportunities to learn new things. I would recommend anyone working here. Company-wise it's growing day by day and has a good reputation in the market today. 4.3 This was a consulting assignment of 1 year at Amazon which will culminate at the end of the project on 6/30/2014. Amazon is a good company to work for in a permanent capacity. However due to budgetary reasons, the project staff is not being retained as it has gone live and is running smoothly. 4.3 Working at VISA, INC. taught me more about the banking industry. Learned to research and analyze to carry out appropriate course of action for each claim. Each case was processed in strict accordance with operational regulations and federal regulatory standards. Great experience with a great company. Visa is a payments company that operates globally and aims to provide businesses and consumers an electronic way to pay for goods and services rather than through cash tenders. The company was founded in 1976 by Dee Hock when the former BankAmericard united multiple licensees to form Visa. Today, Visa offers its customers a way to pay for goods now with debit transactions or to pay later with their credit services. Visa's headquarters are located in San Franciso, California and they operate three data centers on two seperate continents. The company serves more than 200 countries and territories worldwide. As of mid 2012, there are more than two billion Visa cards and two million ATM machines. Visa currently employs over 7,500 employees throughout the company. The benefits vary depending on the country of residence, but they do offer the same basic benefits for all employees. The company provides a health care package, retirement plan, and life insurance as well as paid time off and holidays. Visa offers competitive pay and currently has several rewards programs to recognize employees achieving excellence.